25 Clever and Unusual Bus Stop Advertisements – Part 2. 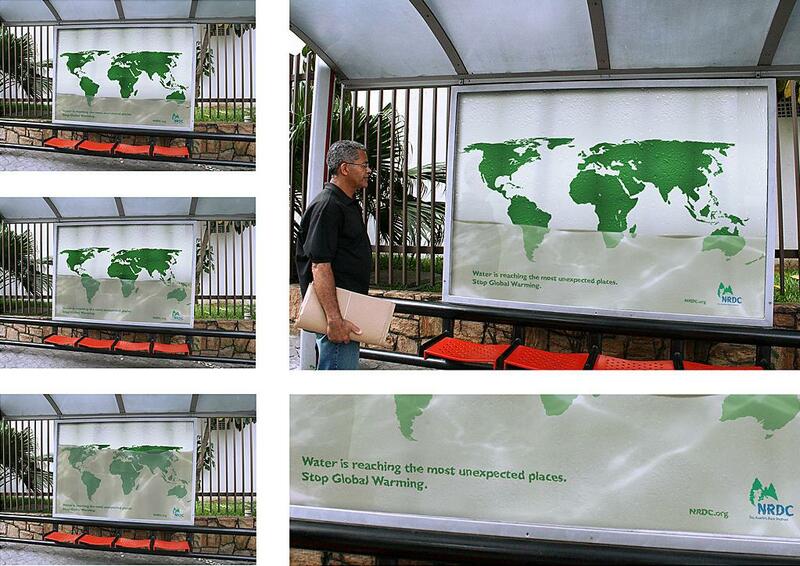 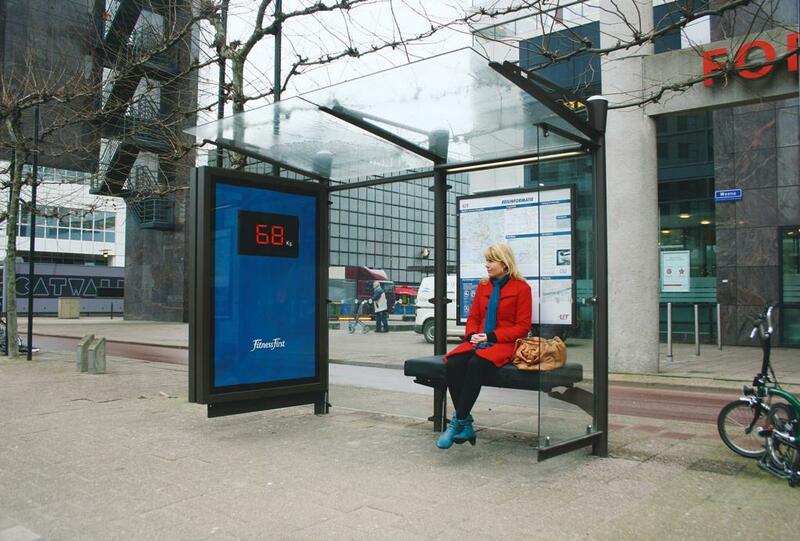 Clever and unusual bus stop advertising by various companies from all over the world. 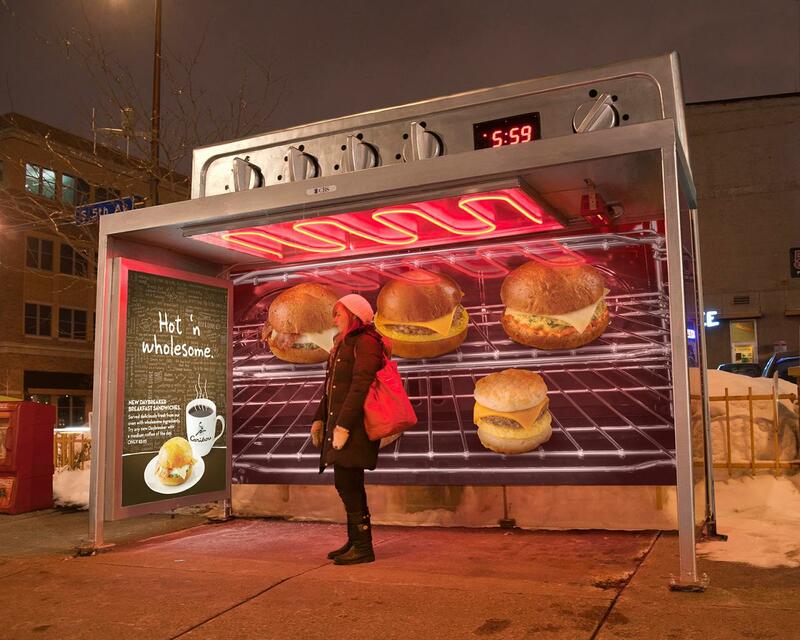 Caribou Coffee Bus Stop Ad: Ovens were created out of bus stops, including real heat, to showcase the delectable new menu items. Channel Ten Bus Stop Ad: Bluetooth transmitters were installed over twenty bus stops around Perth, Australia. 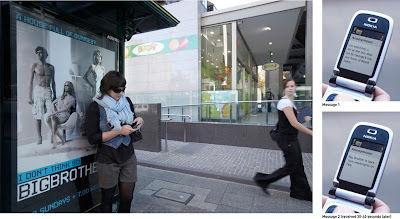 The transmitters automatically sent two anonymous text messages to anyone standing within range. The first message was tailored specifically to each location, whilst the second (sent 30-40 seconds later) would reveal the message "Big Brother is back". 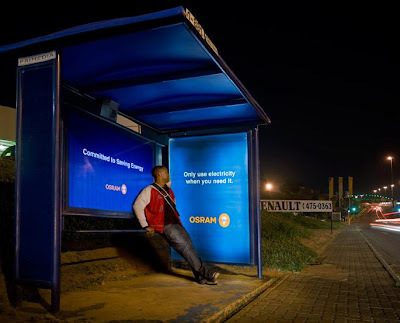 Perwoll Bus Stop Advertisement: It's known that you can't talk about colors if you can't see them. To promote Perwoll Colormagic, a detergent that protects colors from fading out, a unique street color vision test was created. 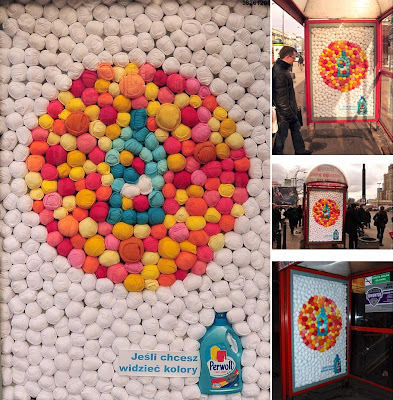 Instead of colorful dots, over two thousand socks were rolled like just after laundry, and put into citylights at the bus stops. Those who were able to see colors could also spot the correct solution: a shape of Perwoll bottle inside the circle. 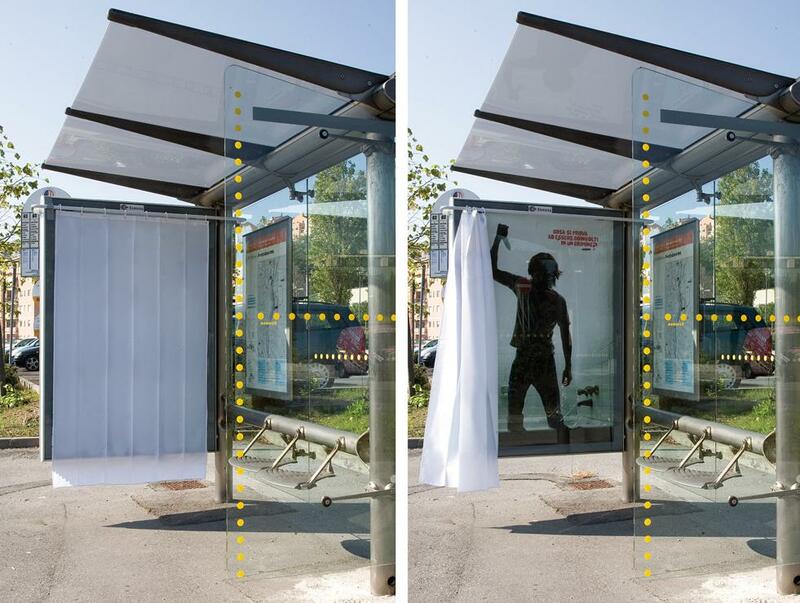 As a result people in Warsaw could test their color vision and see with their own eyes that Perwoll allows them to see colors, even after washing. 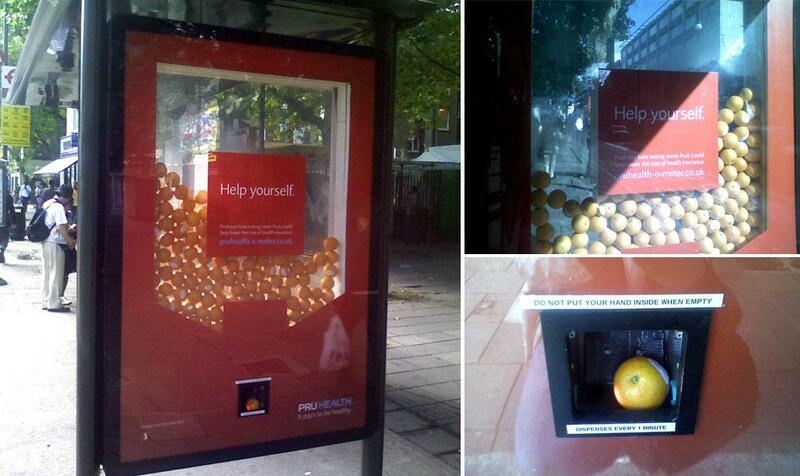 Pruhealth Bus Stop Advertisement: Pruhealth, a UK health insurance provider, turned London bus stops into fruit dispensers. A piece of fruit is delivered to onlookers each minute while stock lasts. Cocacola Refrigerator Bus Stop Advertisement: These cool bus stops with a built in fridge were installed to mock up a real one, covered with ice all over. 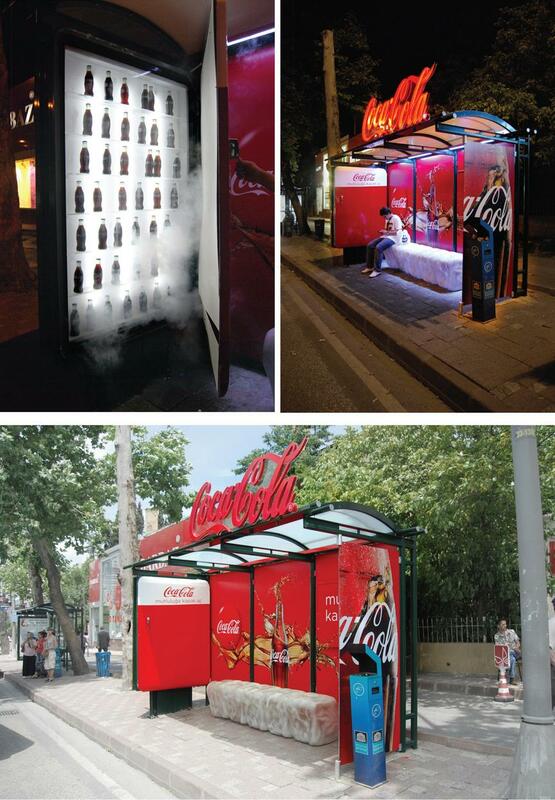 The bus top had an "ice" bench and a stall with Cocacola bottles put onto frosty shelves. Australia Post Bus Stop Advertisement: "Personalize your post". 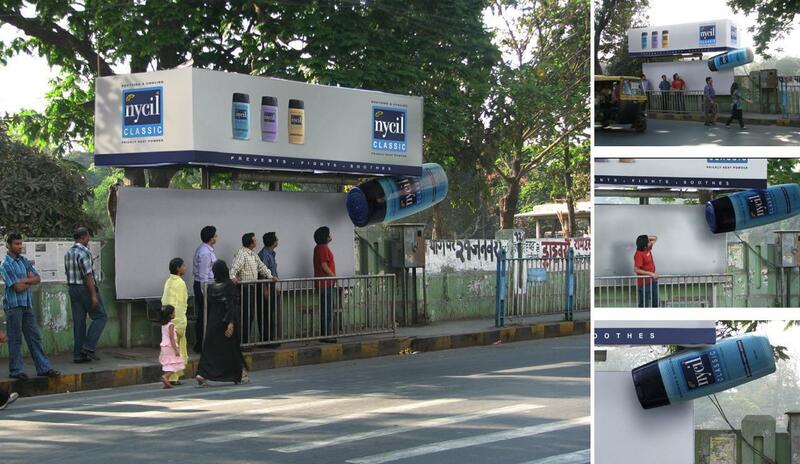 Nycil Bus Stop Advertisement: Summers in India are sweaty and sticky. An air cooler was hidden in a huge pack of Nycil Powder, thereby instantly implying the fresh effect of the product on the skin of passers-by. Fitness First Bus Stop Advertisement: The bench works as weighing scale and the weight is displayed on the board for all to see. 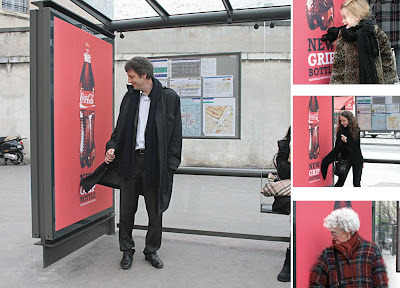 Cocacola Bus Stop Advertisement: Posters printed on velcro were placed in bus stops in Paris to make people interact with the grip and let them know about how the new Cocacola Grip Bottle has a better grip for holding. 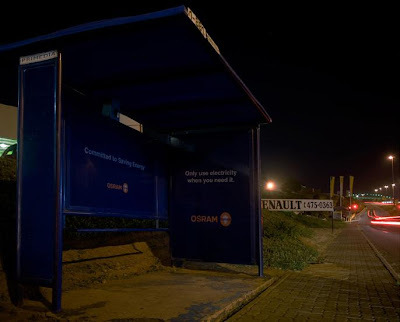 Osram Bus Stop Advertisement: This bus stop ad is a strong reminder of how simple it is to save energy, by switching off a light when it's not in use. As one approaches the bus stop, it illuminates the bus stop as well as the message, which reads: "Only use electricity when you need it"
Natural Resources Bus Stop Advertisement: For this creative ad, a pipe system on the top of the bus stop was installed to collect the rainwater in the Plexiglass compartment. 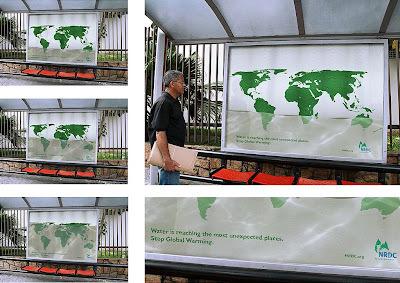 And inside the compartment, there was a world map sticker glued on it, with a message written "water is reaching the most unexpected places……….."
National Geographic Channel Bus Stop Advertisement: This interesting advertisement comes from National Geographic Channel with a message "we bring you closer". 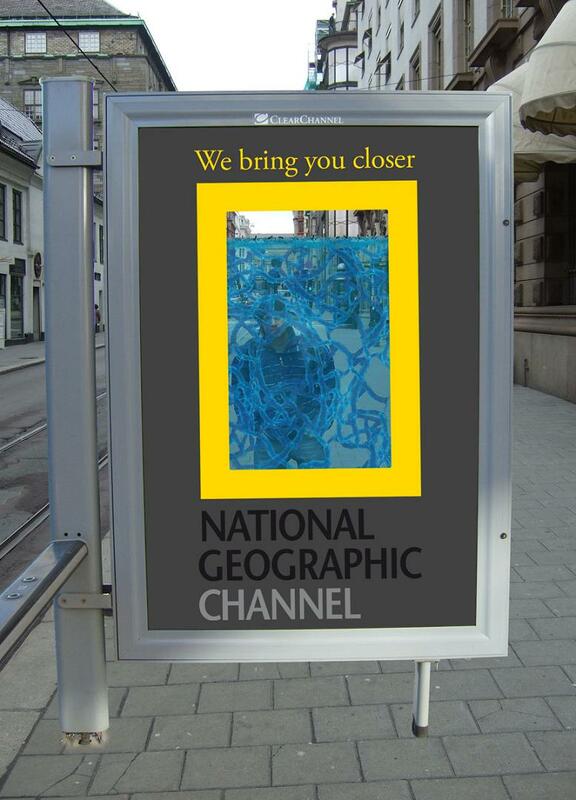 There is a special gel developed by NASA (now sold in ant aquariums known as AntWorks) inside the board. The gel serves as both habitat and nutrition for ants, allowing one to watch in awe as they turn the blue gel inside the board into a fascinating colony of tunnels. 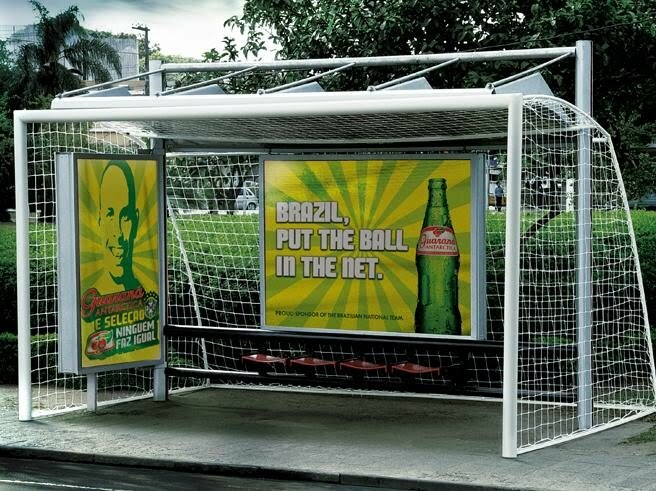 F1 Bus Stop Advertisement: Cool F1 bus stop advertisement in Singapore. 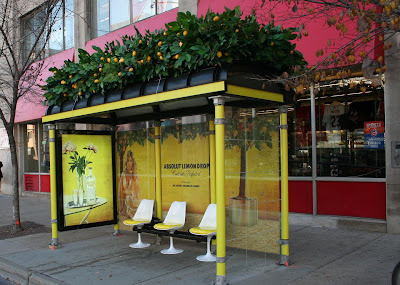 Quiksilver Bus Stop Advertisements: This allowed skaters to go on a Quiksilver miniramp attached to a bus stop and for the surfers, there was a bus stop with a surfboard bench with a whole wave image. 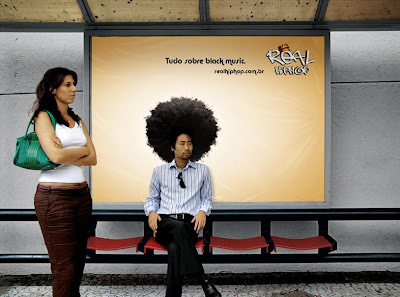 Real Hip Hop Bus Stop Advertisement: Cool realhiphop.com.br bus stop advertisement. 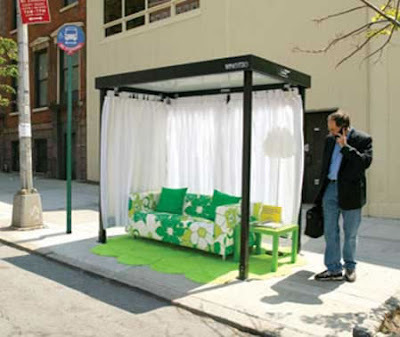 Ikea Bus Stop Advertisement: This living room bus stop was created by Ikea and Deutsch team together for the marketing of Design Week 2006. 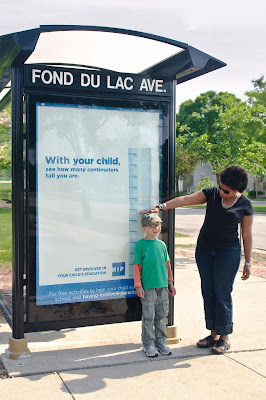 Bus Stop Measure Advertisement: This bus stop ad was created to show the positive effect of parents' involvement with their child's education has on chances of success in the classroom. Hasbro Cluedo Bus Stop Ad: At the bus stop, there were posters covered by a shower curtain and opening the shower curtain revealed the hidden poster. Lemon Drop Bus Stop Advertisement: For these bus stops' advertising, original seating, tropical plant-life and cool colors were used. 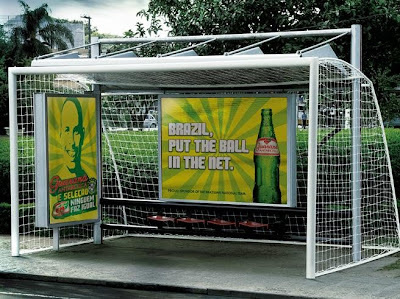 Guarana Antarctica Bus Stop Advertisement: Actual size football goal posts were placed in bus stops around Sao Paulo, Brazil to promote the World Cup. 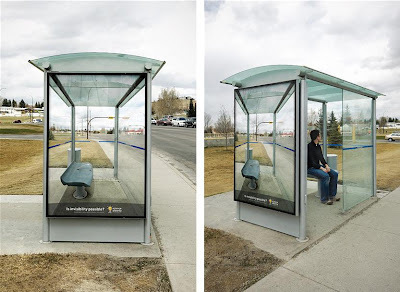 Playstation 2 Bus stop Advertisement: This bus stop features boards with bubble wrap. 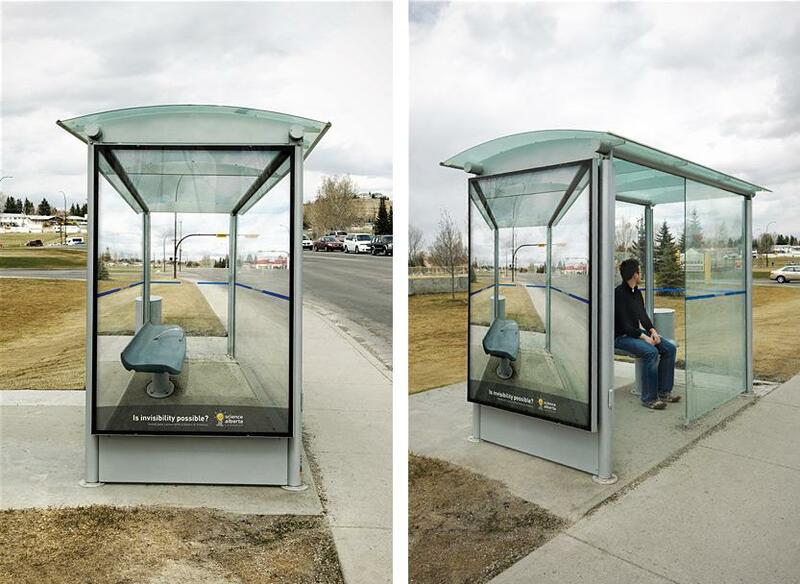 Science Alberta Bus stop Advertisement: "Is invisibility possible? Invent your future with a career in science." 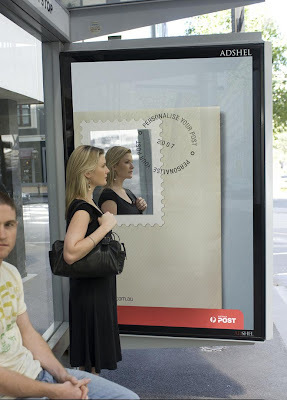 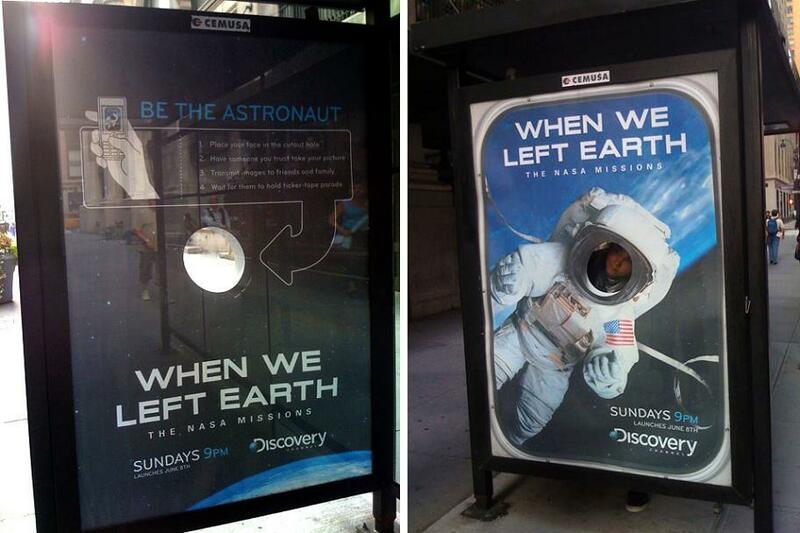 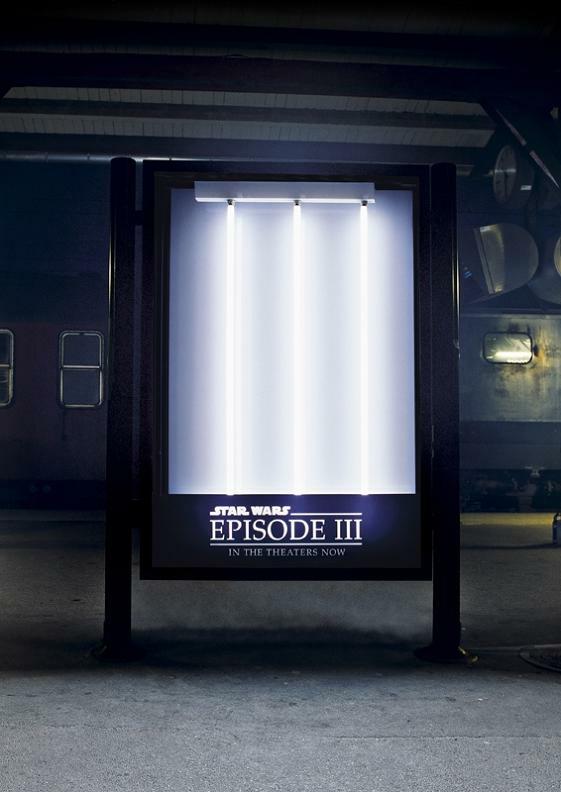 Don’t miss to check out “Clever and Unusual Bus Stop Advertisements – Part: 1| 2”.